Disclosure: My friend Anne received a keychain for review from PicturesOnGold.com. All opinions are her own. 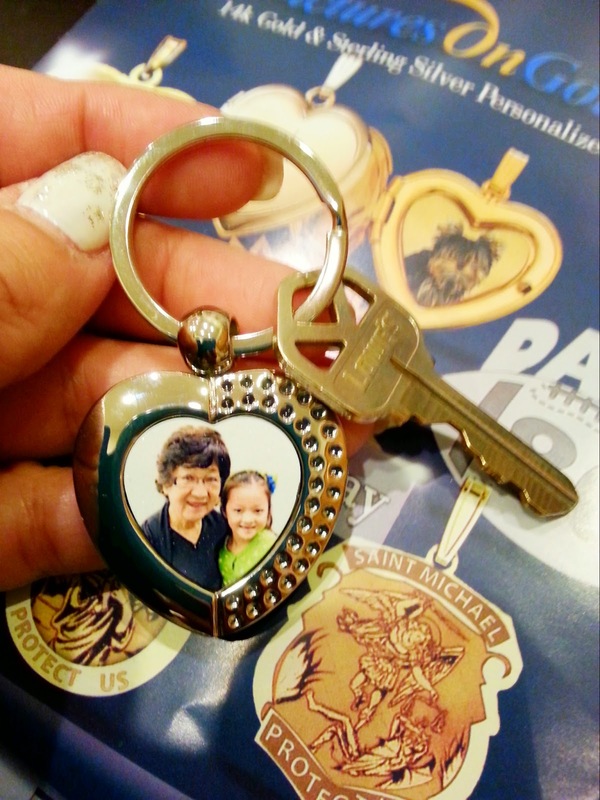 I just received a beautiful Sterling Silver Personalized Pictures On Gold heart keychain. It arrived in a classic jewelry box perfect for a gift or perfect to use as storage for your keepsake. 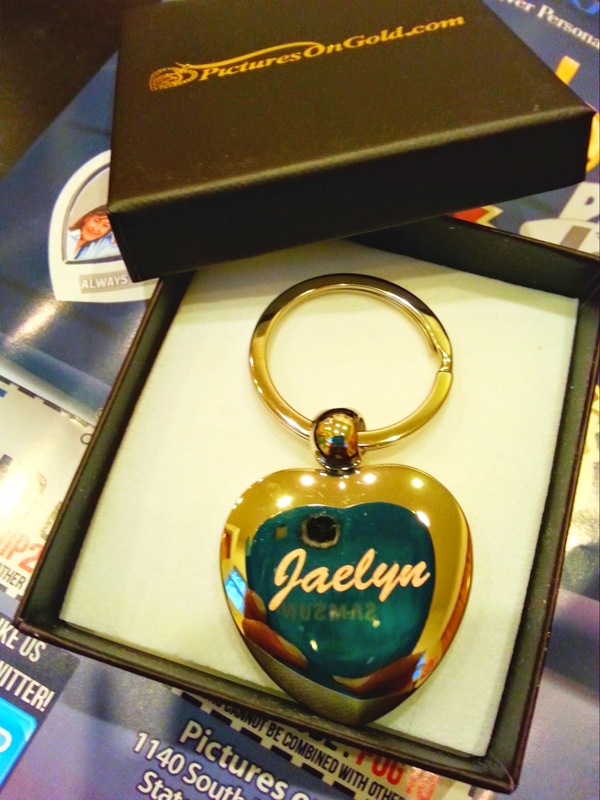 The glossy photo was customized to fit perfectly in the heart and has a protective glass coating to protect it from damage. I love the combination of embossed details on one half of the heart and smooth texture of the other half of the heart. The engraved name I added on the back of the keychain came in an elegant script font and is etched into the silver making it hard to scrape off. 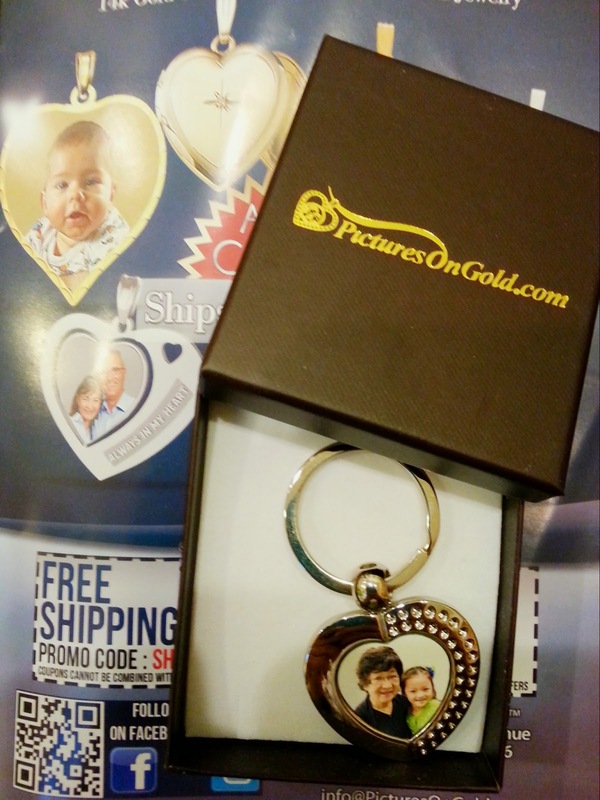 PicturesOnGold.com offers a wide variety of charms, rings, and more in both sterling silver and 14K gold. Best of all, it ships in one day! I will definitely purchase more as gifts. 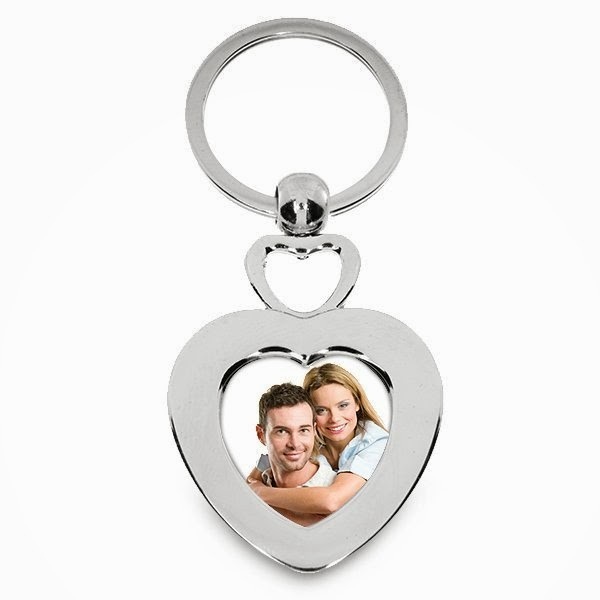 One winner will Receive a Stainless Steel Engravable Heart Photo Laser Keychain! I would love the Sterling Silver Tiffany Style Engravable Bracelet and I would keep the locket for myself! I would probably keep this for me. I also like the Love Connection Necklace !!! I would keep the Locket foe Me ..
the I love you to the moon and back photo pendant is super cute! I would love to win this for my mom! I love the Sterling Silver Round Glass Locket and this would be for me if I won. The Two Tone Sterling Silver Heart Pendant w/ .03ct Diamonds would be a great gift for me. If I win the locket I would keep it for myself. I would keep the locket for myself and I also love the I love you heart lockets! Sterling Silver & 14k Three-stone Antiqued Mother's Ring, this would be for myself if I won! I like the charm bracelets. I would keep the keychain for myself. Hi! I think their Sterling Silver Heart Locket Bracelet would be a great gift for a girl or woman. If I were to win this locket, I'd give it to my daughter in-law. She'd be so excited! I also like the Sterling Silver & Vermeil Crucifix Charm. I think I would give this keychain to dh.